A big game reveal is about to happen, so of course there's a leak. It's just part of the cycle. 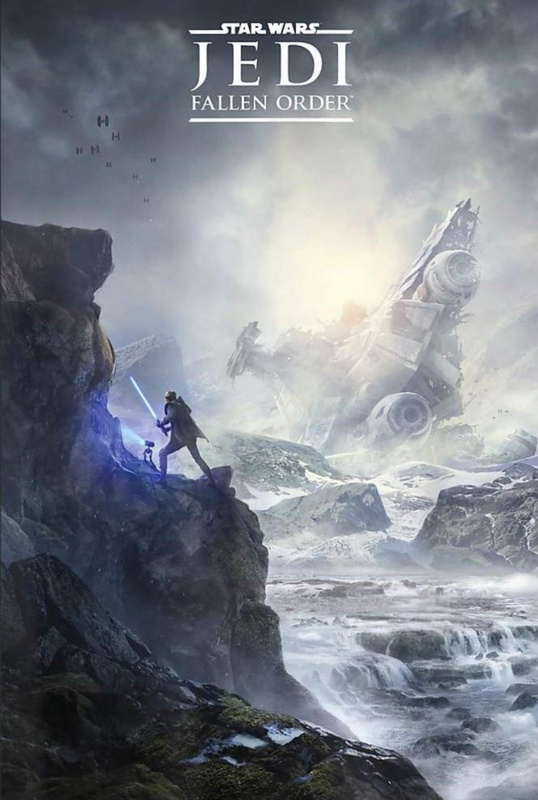 Tomorrow, Respawn Entertainment's Star Wars Jedi: Fallen Order will get its big gameplay debut during Star Wars Celebration, but the first official artwork for the game has emerged online a little early. A now-removed Amazon listing for a promotional t-shirt featured the image embedded here. 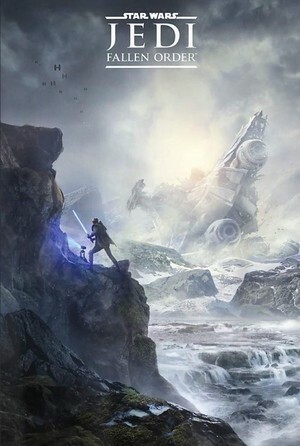 It shows what we can only assume is the protagonist of the game, accompanied by a small droid, as they look out over a huge ship that's crashed in the distance. It's quintessential Star Wars material, basically, and it doesn't reveal all that much. Still, it's interesting to get a first look. We're very curious to see how the game itself is shaping up. If you're not sure when to tune in for the big reveal, click here for all the info. 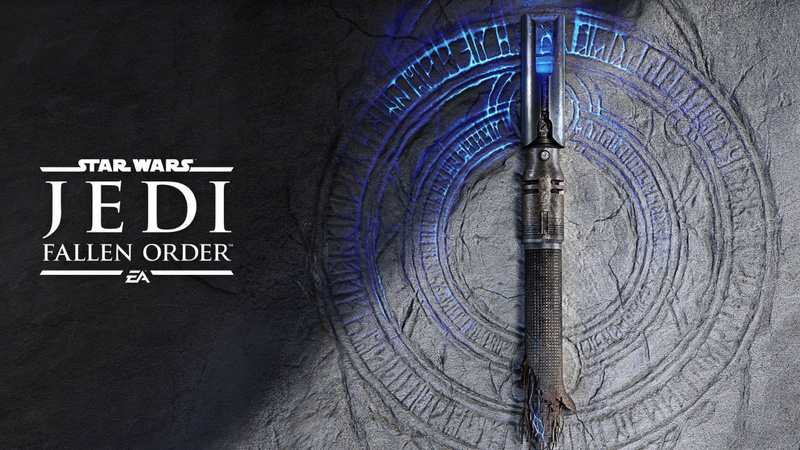 Are you ready to see more of Star Wars Jedi: Fallen Order? Use the Force in the comments below. Really interested to finally see this game. It could be great - really, really great... and it probably is, we just have to wait and see how 'EA' EA have made it. I gotta bad feelin about this. Not really, I just wanted to quote Han Solo. Even if it’s EA, big names are involved in the project. I really hope this is something great. I have been missing a good single-player Star Wars game for a while now. Any idea what sort of genre (gameplay) this game is gonna be? @WanderingBullet I think it's going to be akin to the Jedi Academy style. @PS_Nation it doesn't really matter who is involved if EA hasn't taken the drubbing they got from Disney over Battlefront 2 on board. They're more than willing and capable of taking a great project and turning most interested parties against it. 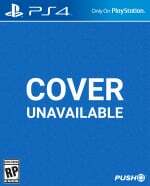 @KALofKRYPTON I really hate how companies like EA and Ubisoft deal with microtransactions and shallow dlcs. But I’m interested because Stig Asmussen (God of War 3) is the director. The writer of Mafia 3 is also involved. Anyway, let’s wait and see. @KALofKRYPTON Sorry, but I'm not familiar with that game. :/ Was it any good? @WanderingBullet It certainly has it's fans. I thought it was great, but I was but a child! Just think Force Unleashed but with a lot more depth. Hopefully it's better than The Last Jedi and won't have any princesses flying through space. Please be good. Please be good. Pleeeeeease be good. Princess flying through space was the worst part of the movie imo. I was like "oh no shes dead" then i was like "wtf is this nonsense". And i love me some star wars. @KALofKRYPTON Oh, I'm familiar with Force Unleashed but I haven't played it before, though.